Larisa passed away in August of 2018. 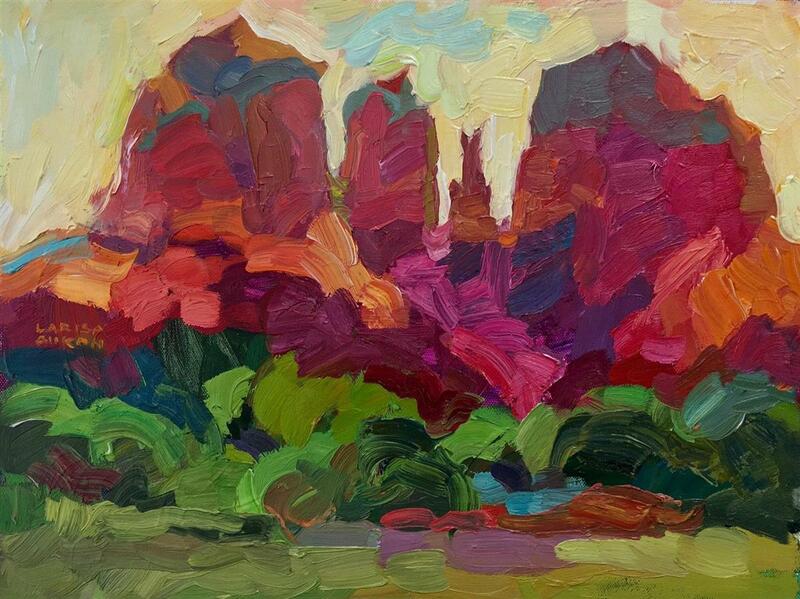 I truly believe there is an inner “pulse” that runs through everything, mostly unseen but more often felt. I can think of no greater artistic inspiration than identifying this current and holding it in my heart long enough to translate it to canvas. 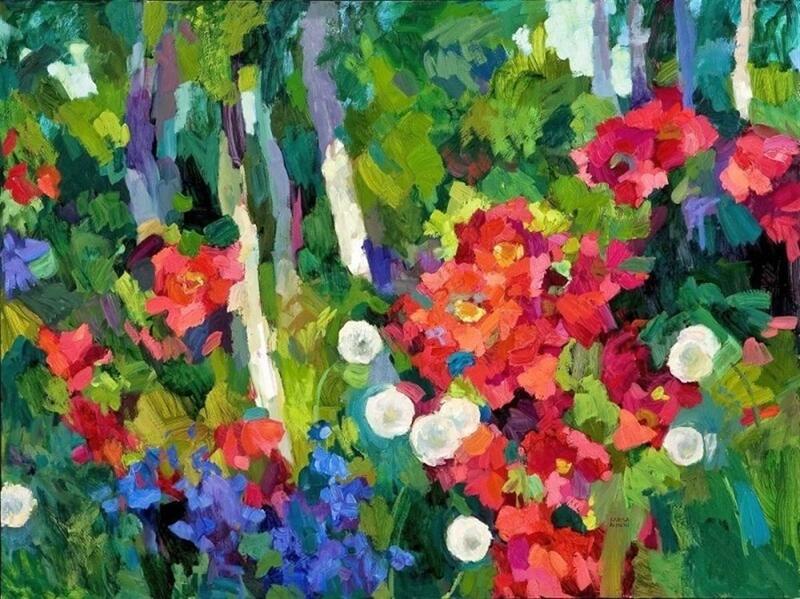 I search for that perfect moment where everything falls into place inspirationally and technically. 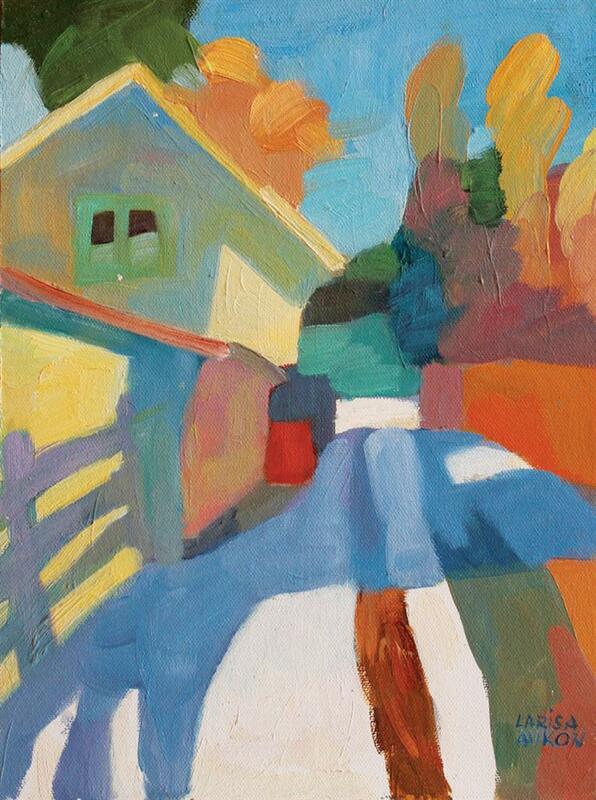 From that point on, I paint voraciously as if time is running out on me. 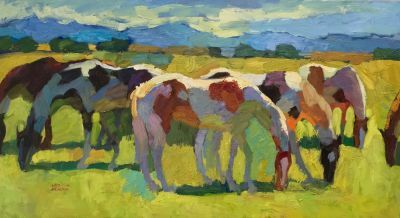 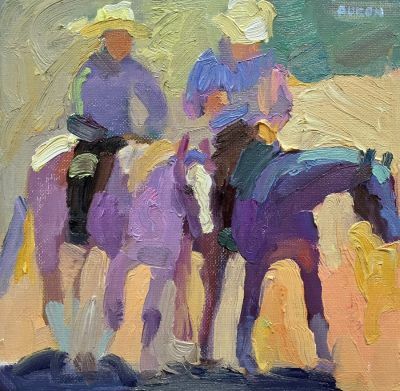 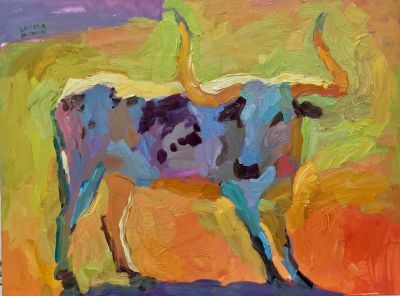 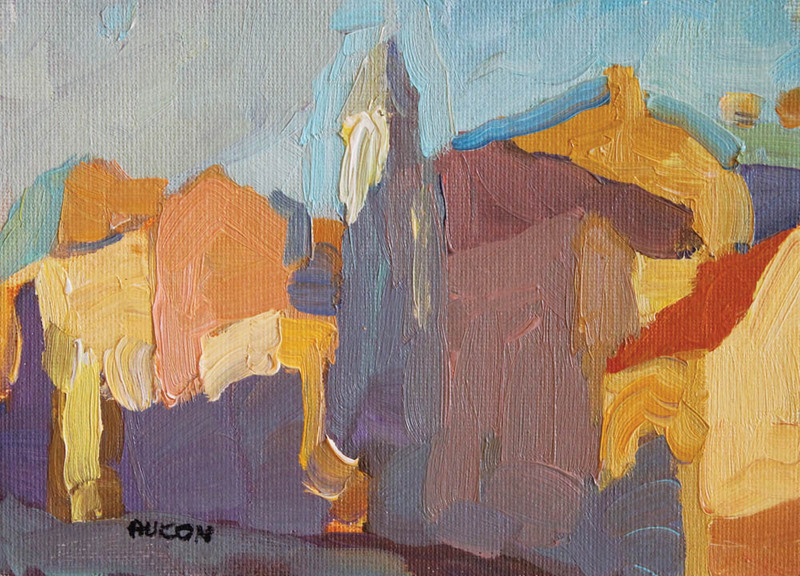 Over the last few years, following her first solo exhibition in the US in 2010, Larisa Aukon has quickly established herself as an accomplished painter and teacher in the United States. 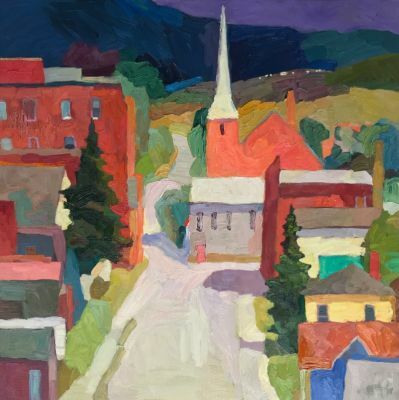 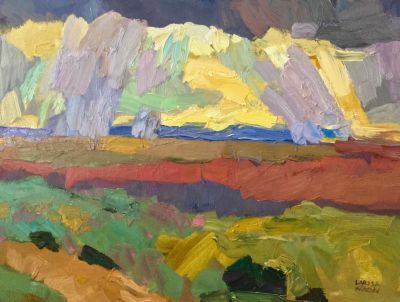 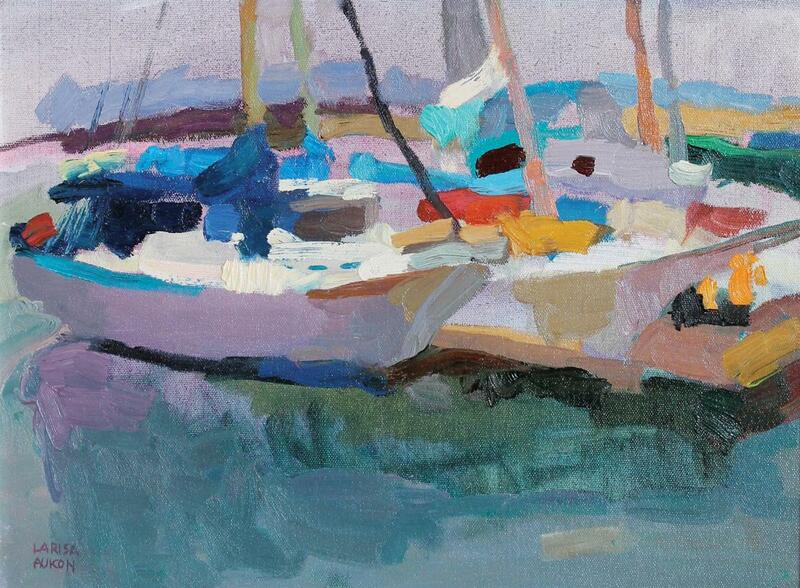 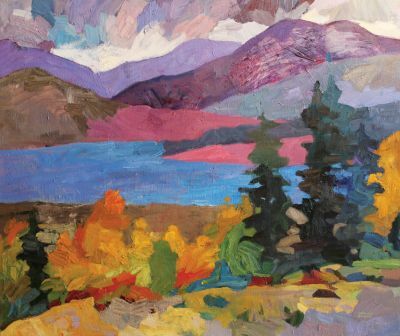 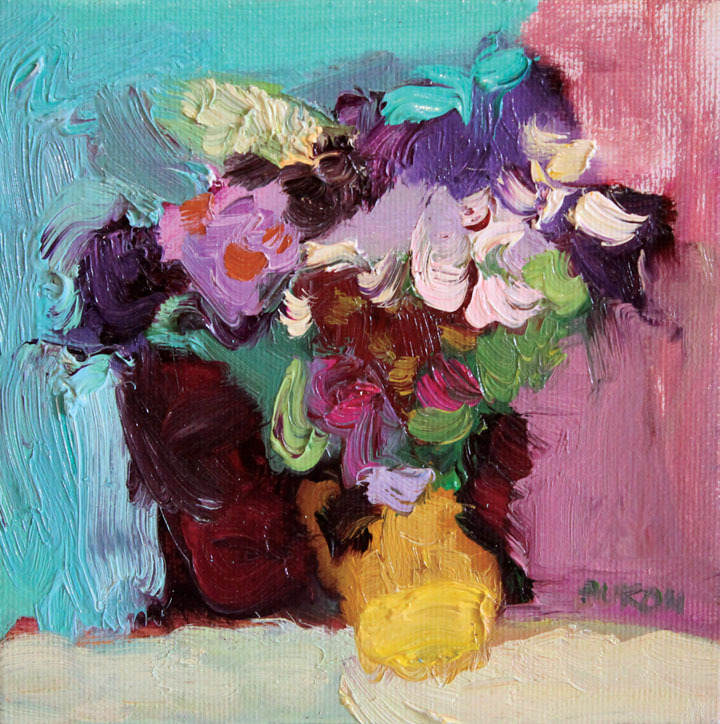 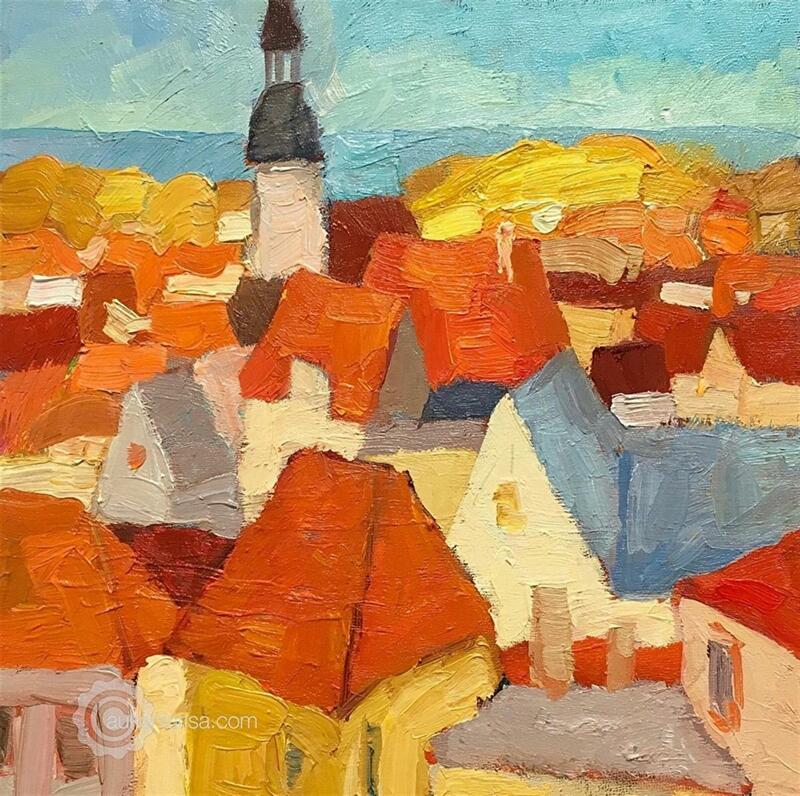 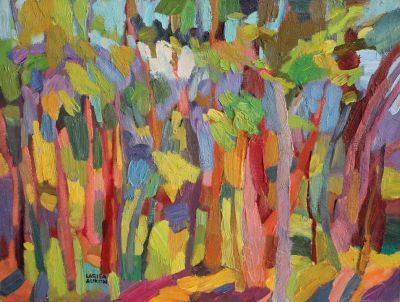 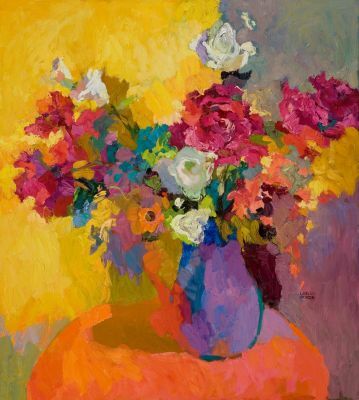 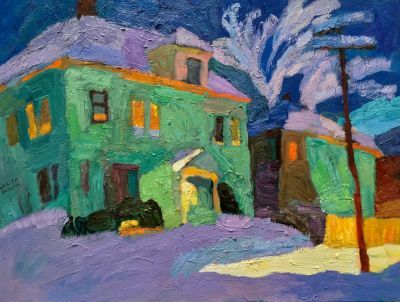 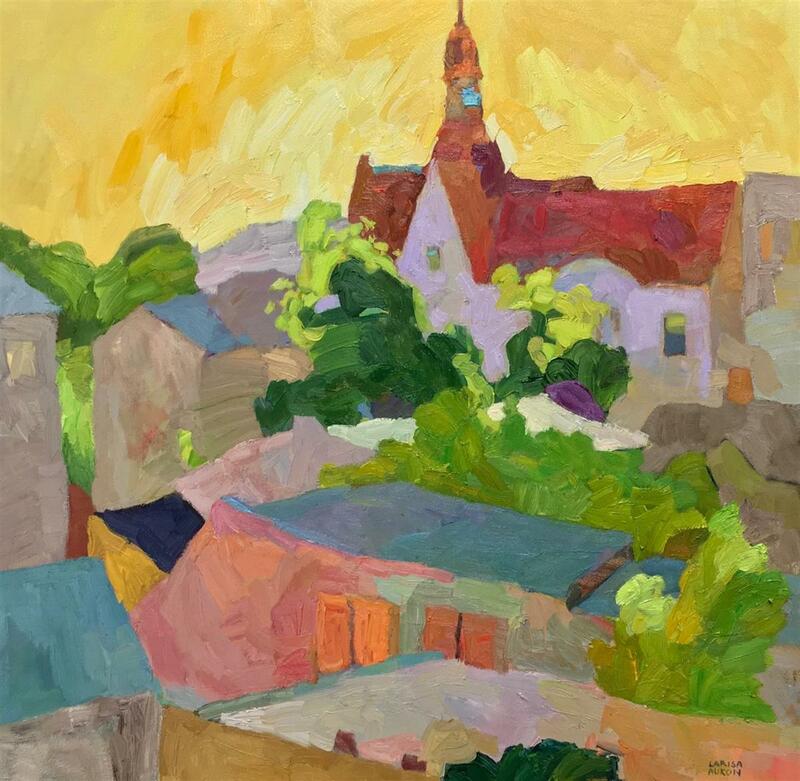 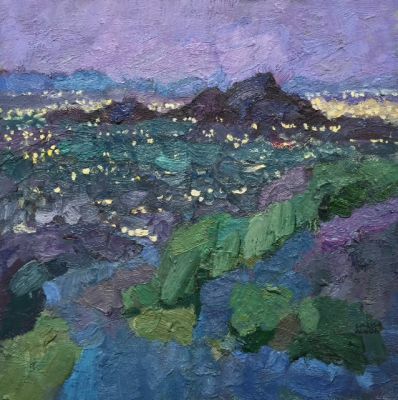 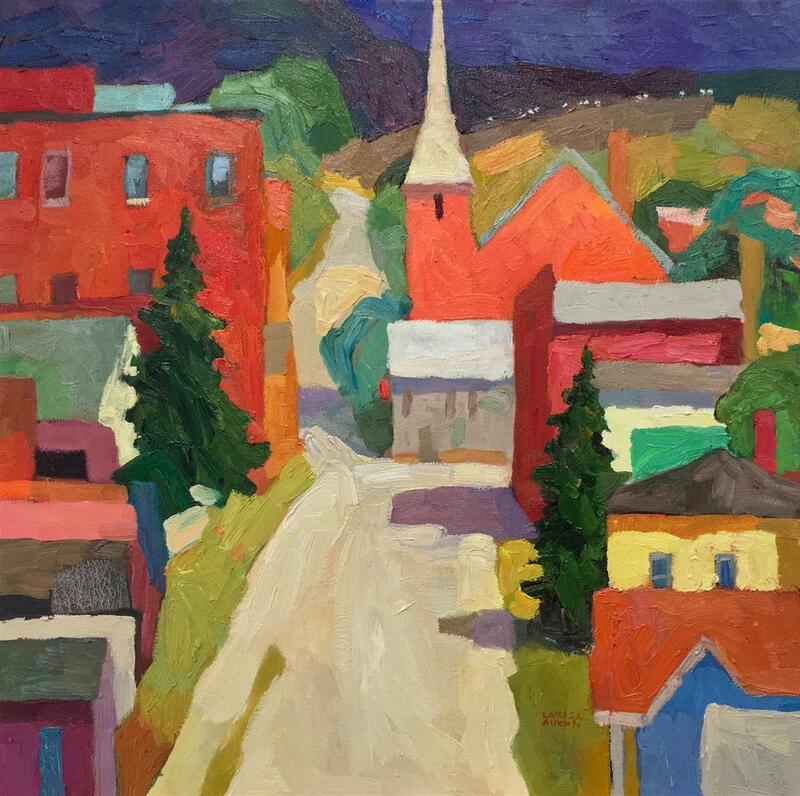 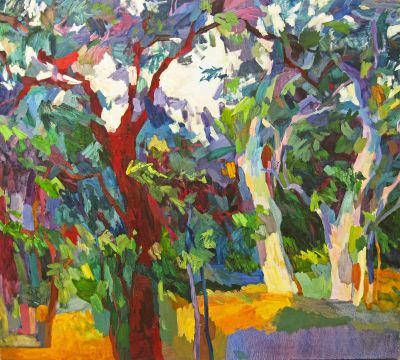 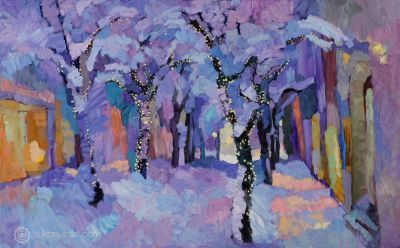 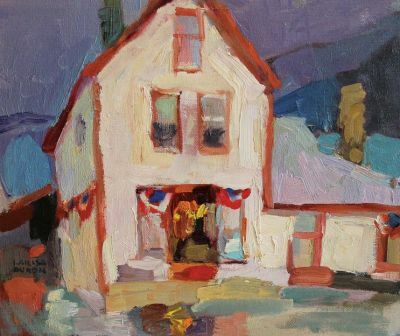 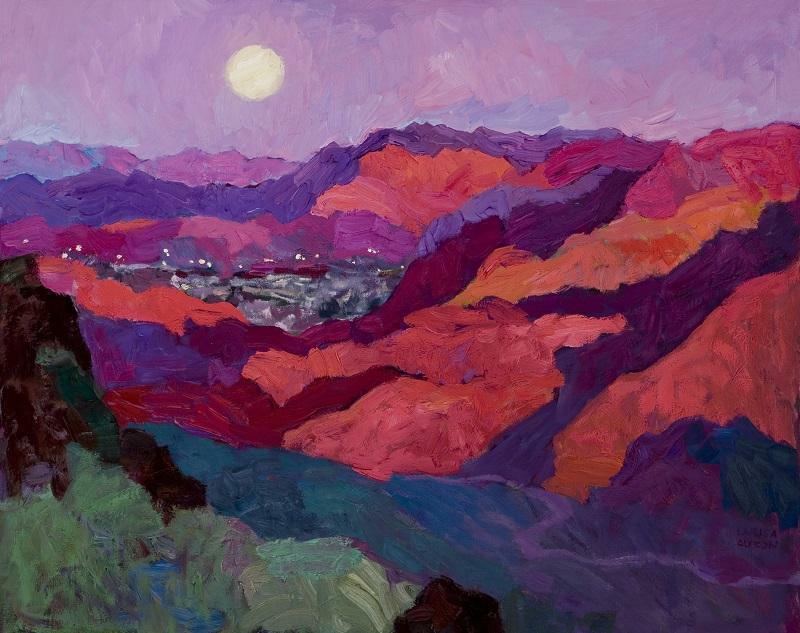 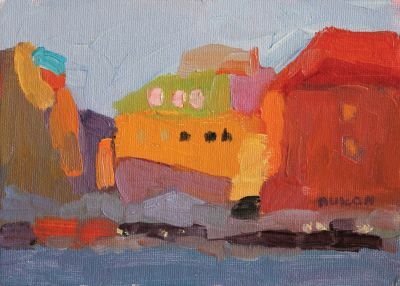 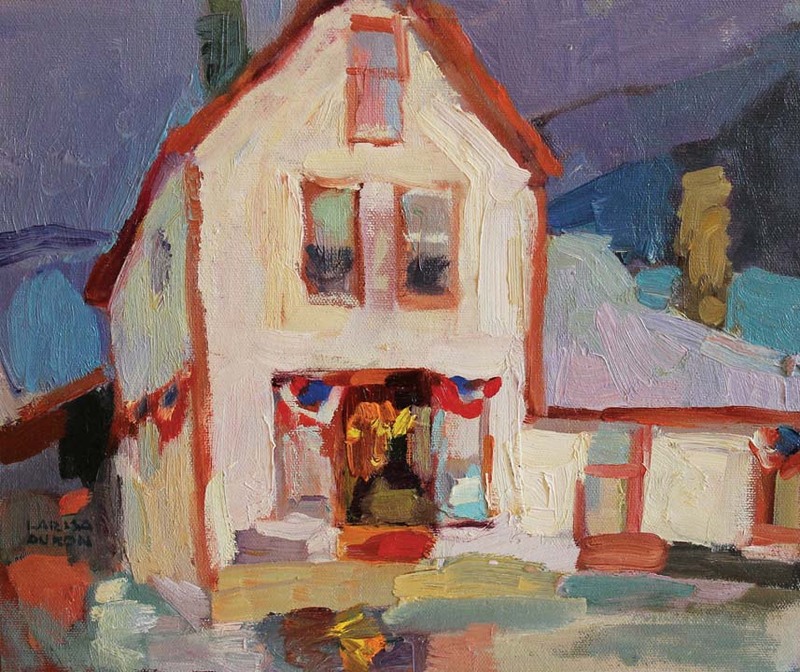 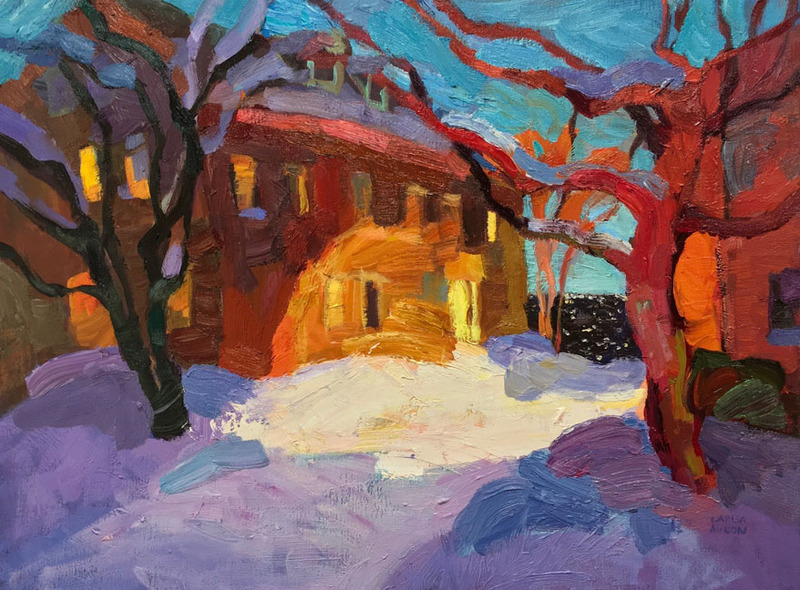 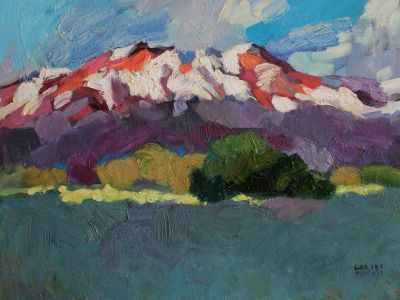 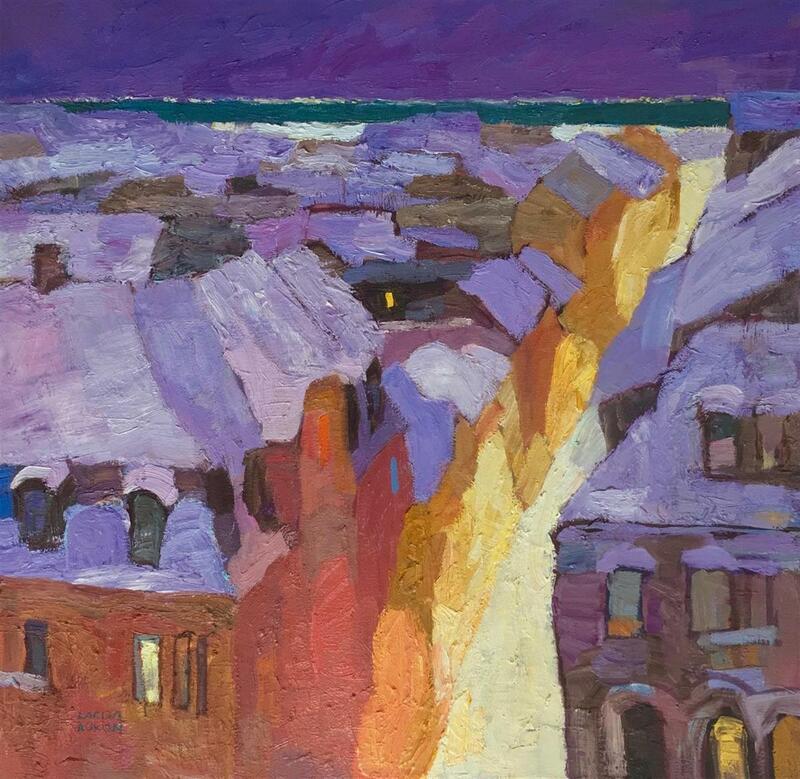 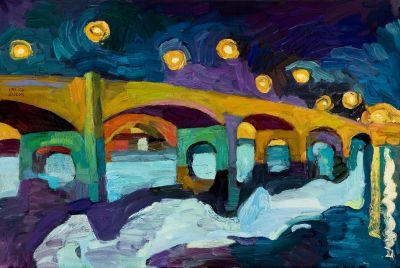 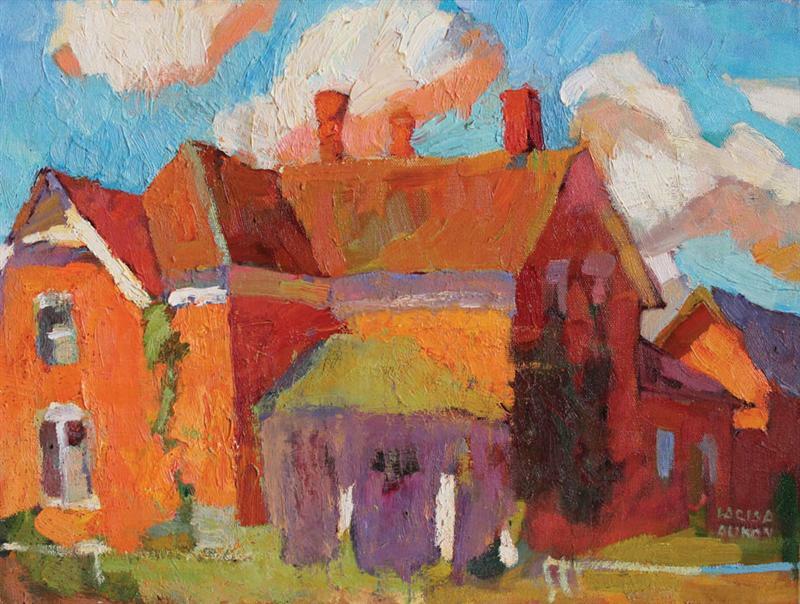 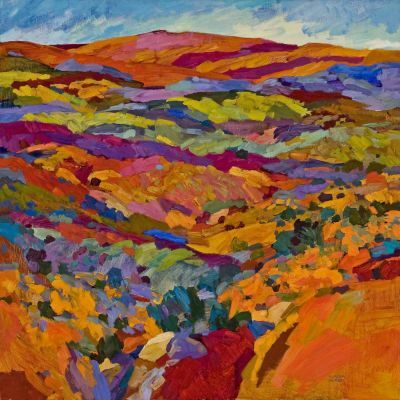 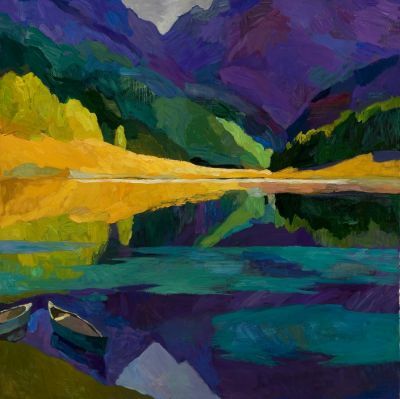 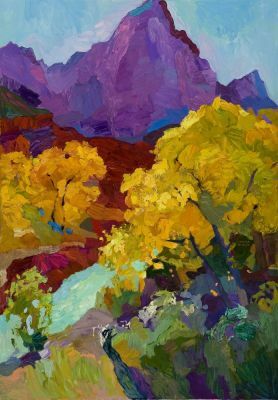 While countless artists paint with color, Larisa’s extensive education and natural talents allow her to create masterfully mixed and layered palettes supported by a framework of strong compositions. 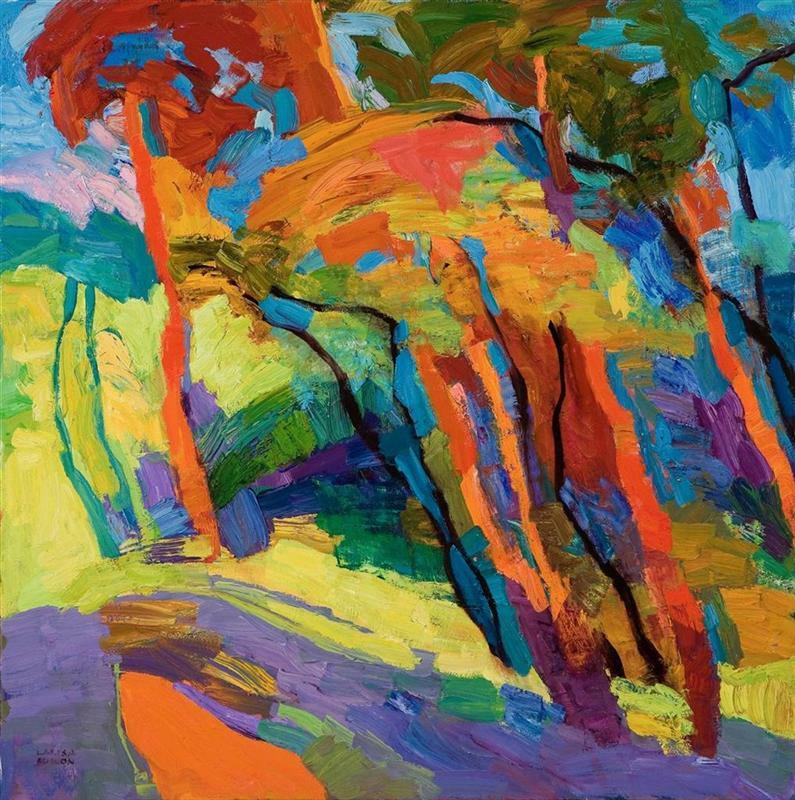 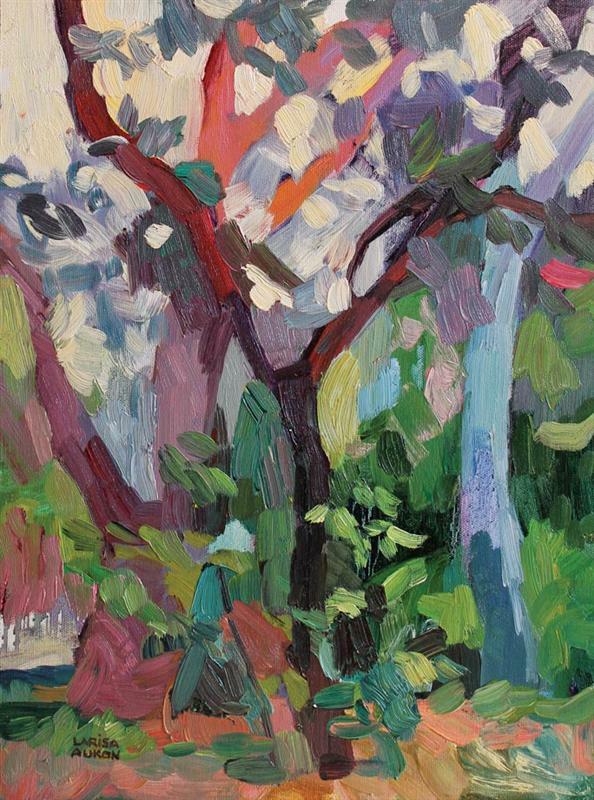 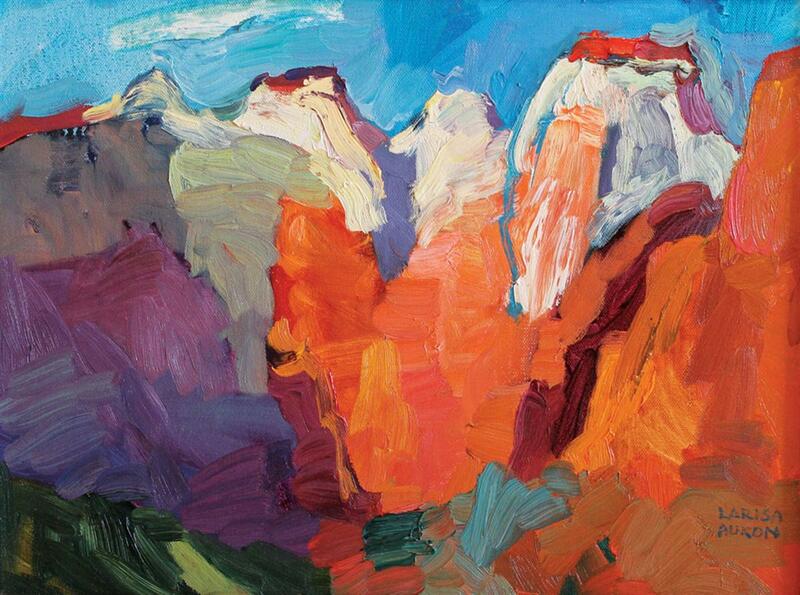 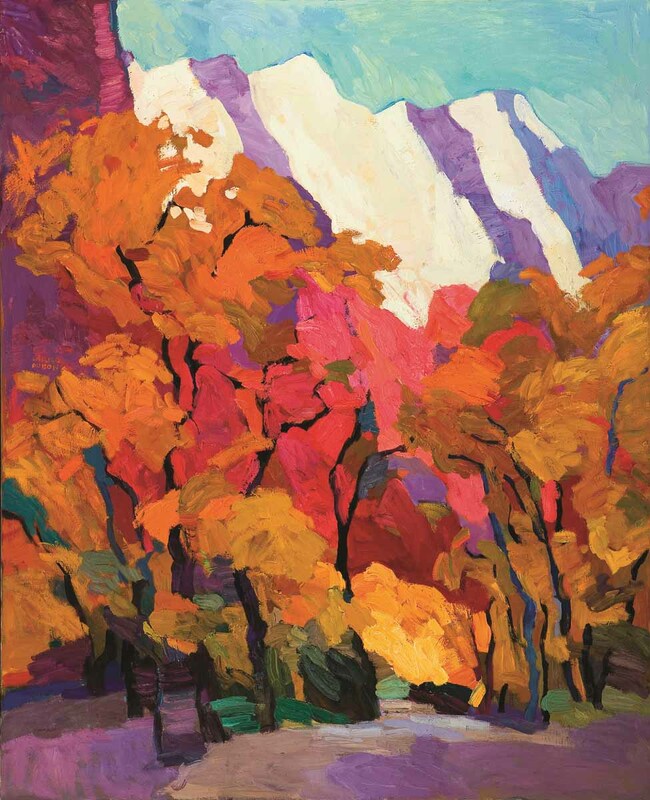 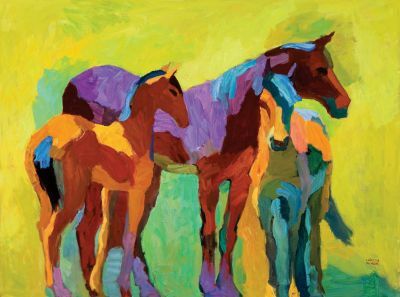 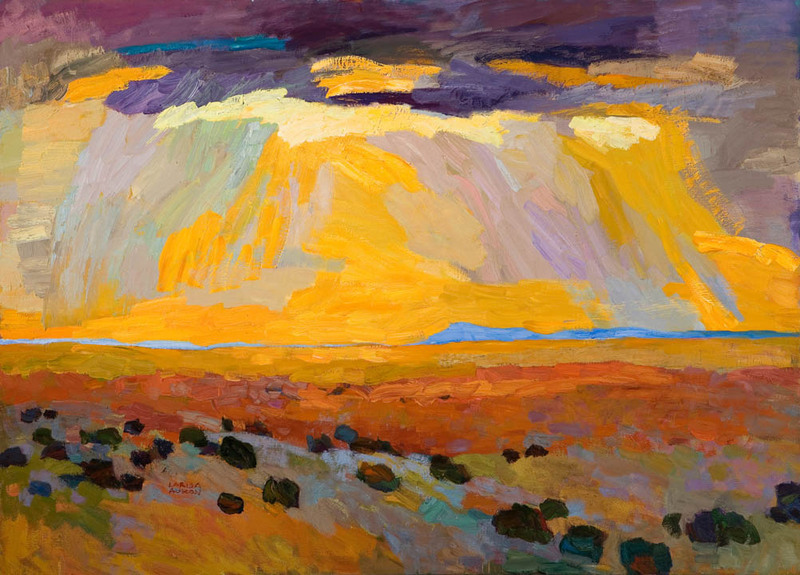 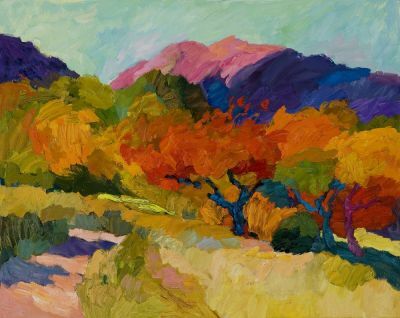 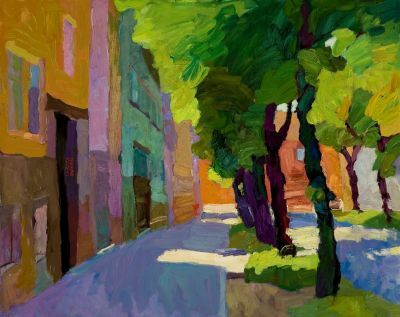 She fills her canvases with bold strokes of rich pigment that capture the ever-changing hues of natural light. 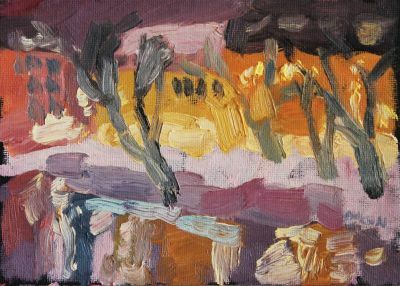 The original tones seep through later paint additions, creating depth and brilliance that have become hallmarks of her work. 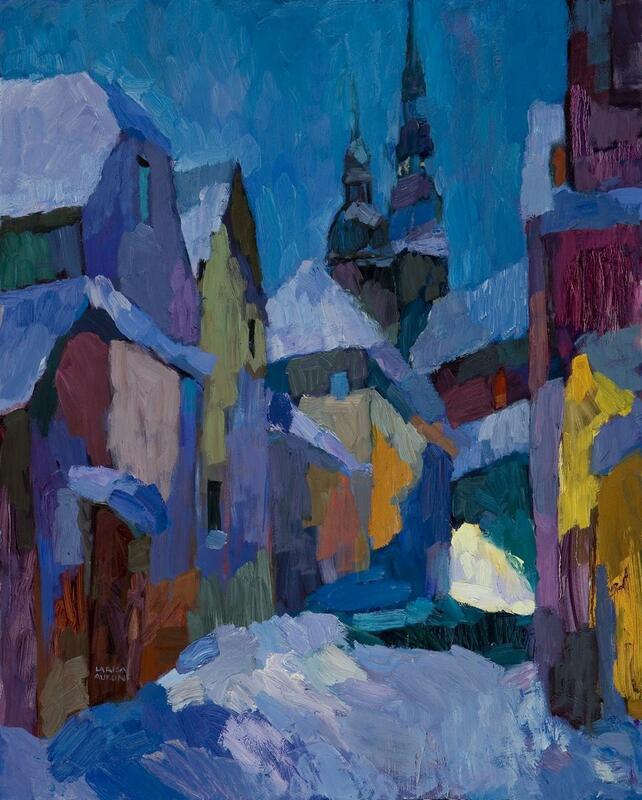 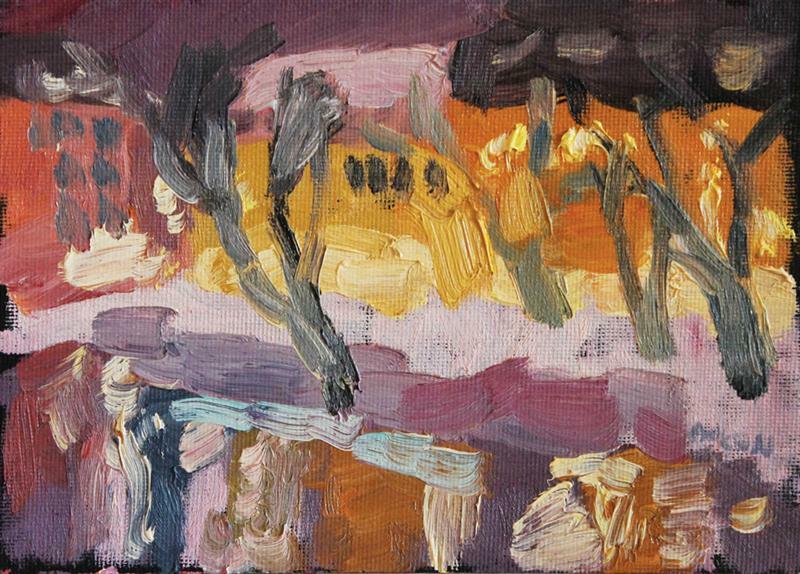 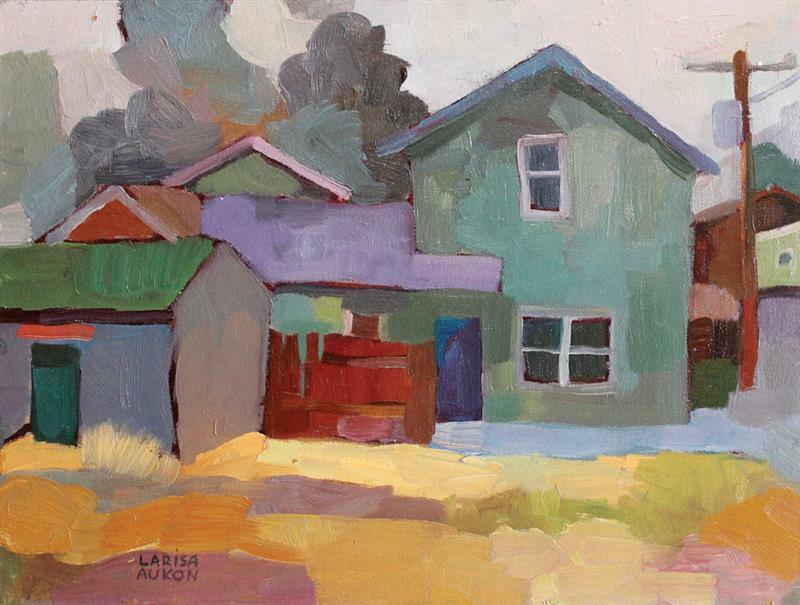 From a very young age, Larisa received intensive art training in her native Latvia. 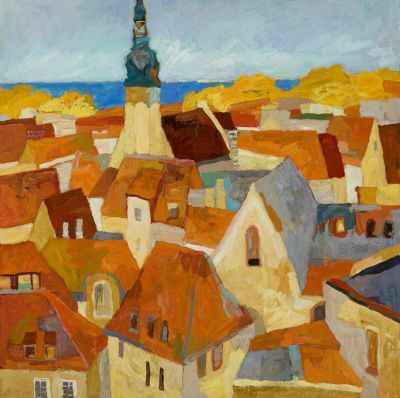 She was accepted to the prestigious Janis Rosenthal’s Secondary Art School in Riga. 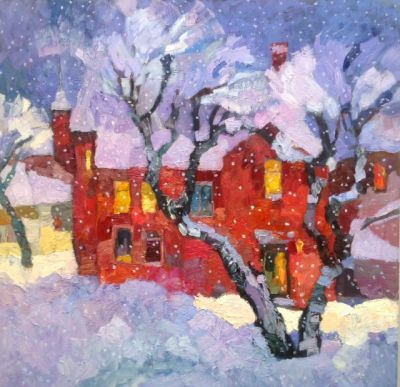 It is a very well-known school for gifted children. 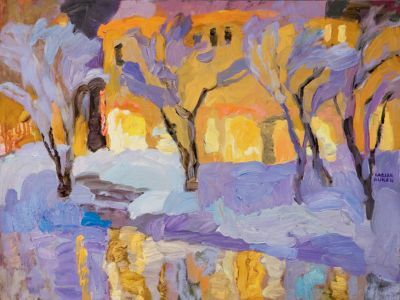 One had to pass a series of extensive academic and art exams in order to be accepted. 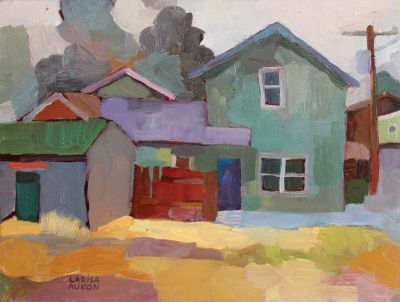 Along with only 9 other students selected for this exclusive program, Larisa, in addition to a full academic course load, had up to 20 art-related lessons per week from the time she was 12 until she turned 18. After high school, she was accepted into the Latvian State Academy of Fine Arts in Riga from which she graduated with a master’s degree. 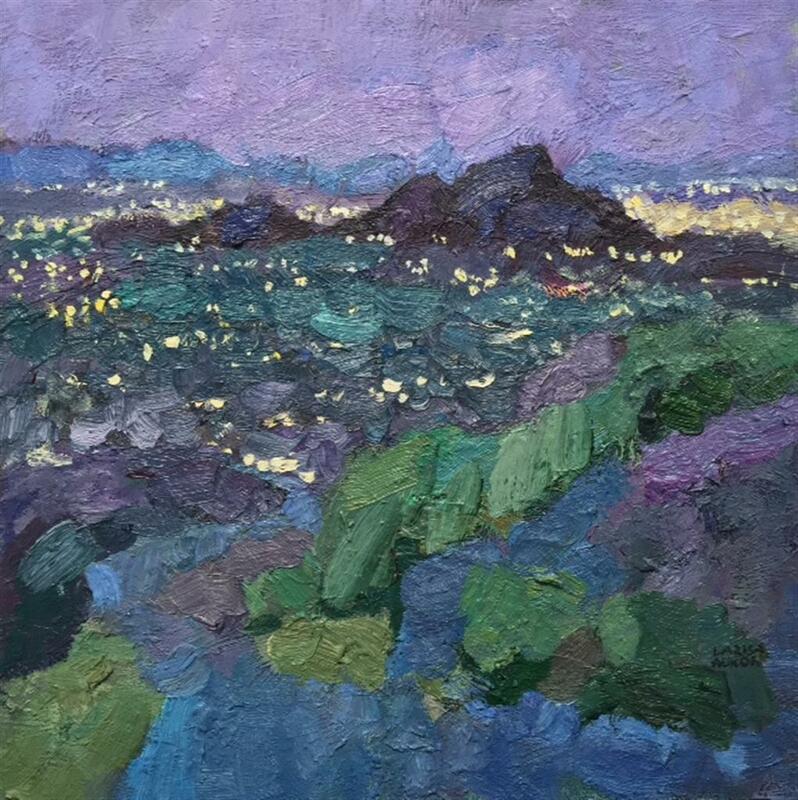 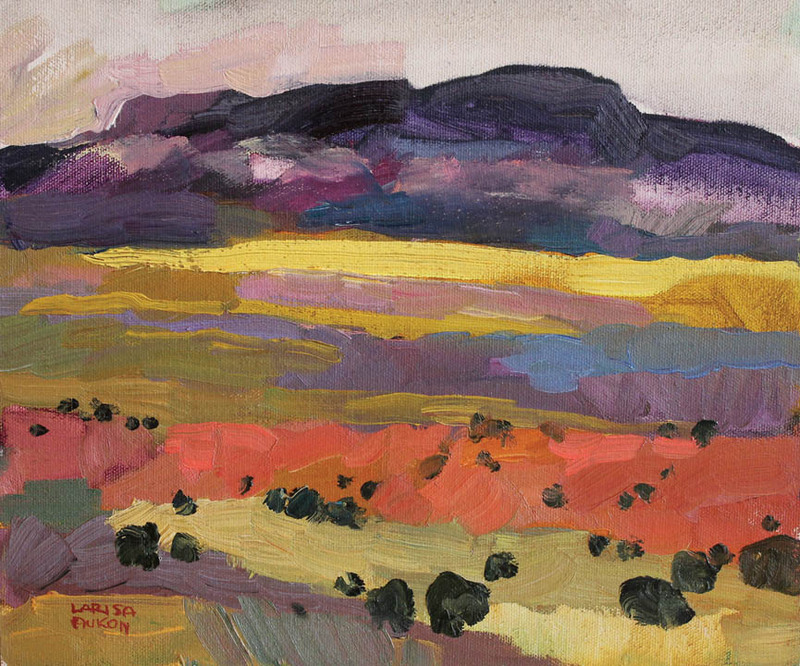 Today, Larisa calls Arizona her home where she spends her time painting and teaching.